An important part of the Heritage Trust's activities means that we frequently have contact with people who have been a part of the Club or its history. This ranges from descendants of past players, through generations of supporters to people who have crossed paths with Aberdeen FC over the years. A great recent example of this came at the end of June 2016 when the Dons were playing against FC Fola Esch. 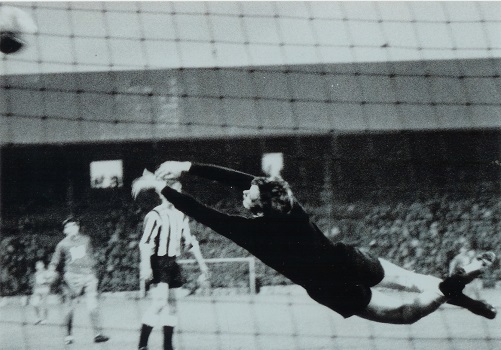 The UEFA Delegate for the match came from Iceland and it turned out that he had played in goal for KR Reykjavik in the historic first ever European tie played by the Dons in September 1967. His name is Gudmunder Petursson and despite the scoreline of that match, he carries fond memories of his visit to Aberdeen. Chairman of the Trust, Allan McKimmie, took pleasure in discussing those days with Gudmunder and in showing him round Pittodrie and indeed, took him on a tour of Aberdeen. The visit made a positive impression, and Gudmundur expressed an interest in returning to the north east to play some golf. Allan put him in touch with Red TV commentator Andrew Shinie who specialises in arranging such trips and in late October Gudmundur and friends, including Thordur Johnsson who had also played in 1967, returned for a long golfing weekend. 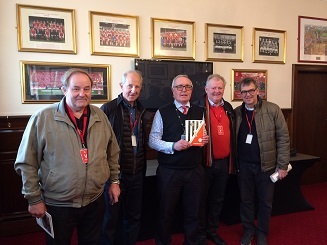 During the visit, an in depth tour of Pittodrie took place, and whilst in the boardroom, Thordur sprang a fantastic surprise by presenting the Trust with a programme and match ticket from the return Euro match that was played in Reykjavik in September 1967. These are rare and highly collectible items which will now take an honoured place in The Aberdeen Collection. 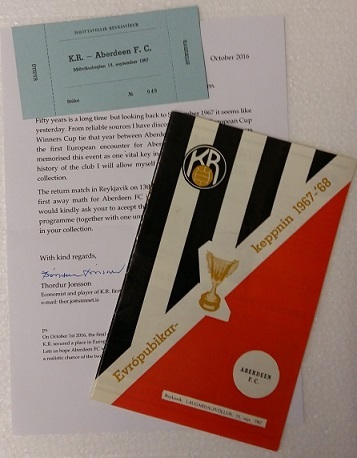 The KR Club has a tremendous history, having won the Icelandic championship many times, as well as the Icelandic Cup, League Cup and Super Cup. They have a long standing European pedigree, with their fist appearance taking place in 1964-65when they took on Liverpool in the European Cup. KR have appeared on the European stage in 26 seasons, playing a total of 70 matches, including their two ties against the Dons.